Just add to a glass of water to enjoy a delicious and healthy plum-flavoured beverage and a serving a day ensures you get the whole benefits of fibre! SKU: COS101 Categories: Body Health, Body Slimming, Detoxification, Nutrition Brands: Nn. 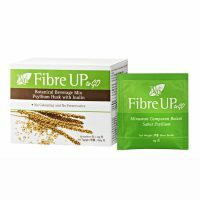 ‘ ne serving of Nn Fibre Up – To Go gives you 5g of soluble fibre which meets the daily recommended amount of soluble fibre by American Dietetics Association. Does not contain any preservatives, sugar, artificial coloring or animal substances. Suitable for vegetarians. Helps you stay fit and slim, naturally : Creates a sensation of fullness and reduces hunger cravings to help you keep trim. 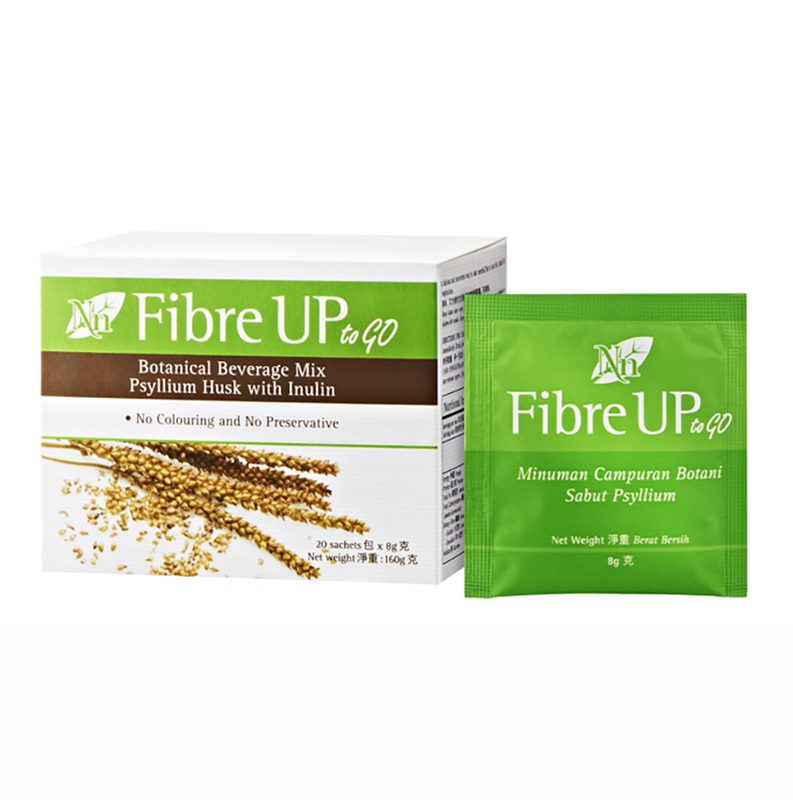 Helps regulate bowel movement : Add bulks to stools and helps relieve occasional constipation. 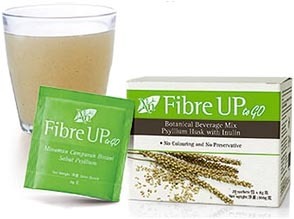 Cleanses your colon : Absorbs toxin in the body and removes them from the colon during bowel movement. 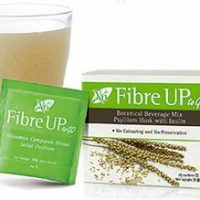 Helps promote heart health : According to the American Heart Association, 7g of soluble fibre from psyllium is needed to maintain a healthy heart. Balances blood sugar : Works in the digestive system by gelling and trapping sugars so that it can be slowly absorbed and released in the body. Strengthens your immune system : Combined with prebiotic FructoOligosaccharide (FOS) to help support growth of beneficial gut bacteria. Psyllium husk, orange fiber, gluten-free wheat fiber, arabic gum fiber, orange extract and flavor, indigestable maltodextrin, citric acid and acesulfame-K (Nutraflow® sweetener). 1 scoop (approximately 6g), once or twice daily for adults or children above 12 years of age. Mix into ½ – 1 glass of water, stir well and drink immediately. It is recommended to drink 6 – 8 glasses of water daily.